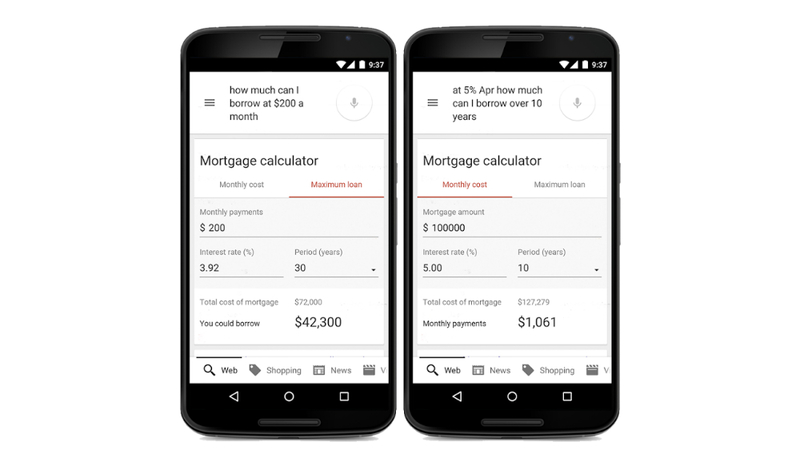 Starting today, a new feature has been built right into Search from Google – a complete mortgage calculator. Using this handy dandy calculator, users can estimate how much they can borrow, simply by throwing in a wanted monthly payment and APR. Not only that, but you can also track monthly payments when you input the loan total and APR, allowing you to quickly make estimates. Features such as this always seem to pop up when you need them, so if you find yourself in this situation, give the ol’ mortgage calculator a try.